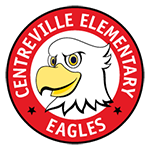 At Centreville ES, we believe that all children are inherently talented and that optimism, hard work, perseverance, and positive relationships will help children to develop their talents to be successful at the highest level. Our staff purposefully creates a safe learning environment that encourages risk taking, goal setting, collaboration, creativity, and critical thinking. We have a diverse student population and we celebrate our diversity embracing each student as a unique learner. Science, Technology, Engineering, Arts, and Math. Students are collaborating with schools in Costa Rica to tackle global challenges. Links to commonly used digital learning tools. Learn more about Centreville ES and FCPS Advanced Academics. Individual teachers may request replenishing supplies throughout the school year.